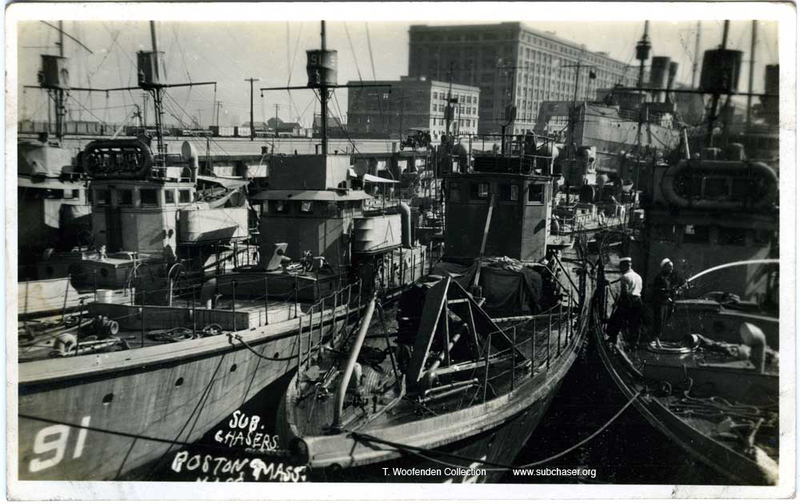 Recently posted is a nice photo of submarine chaser SC 91, in Boston harbor. Aside from the neat setting, there are some interesting details. Note the "sprung" decking on the chaser next to SC 91, and the empty triangular crate on deck, possibly the crate that held the K-Tube hydrophone frame (but that's a guess).